Building a Scale: 1 to 10, 10 being the most racist. Let’s say there’s a dividing line at 5, and the dividing point is whether a person is teachable on the subject of racism; do they fundamentally understand racism and are open to learning and improving on their own biases as well as the systemic racism in our culture? The dividing line is where I think it is ethical to call someone racist; above a 5 they are fairly labeled a racist, and below 5 they are not. 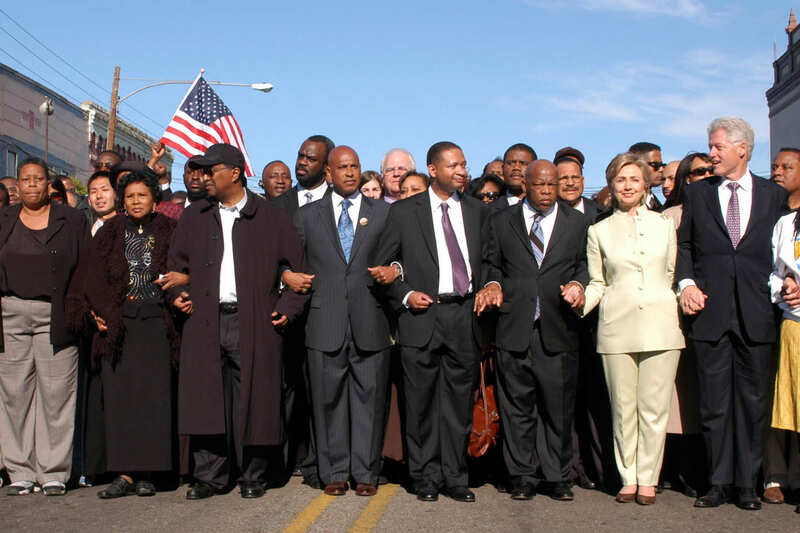 Rather than answer from my perspective alone, let’s rely on the support that Clinton receives from the African American community (note, we could talk about minorities in general, including Latinos and Asians, for example, but for the purposes of this discussion, let’s focus in on African Americans). I’d place Clinton at 2 or 3 on the described scale. That means that she maintains the remnants of racism naturally inherent in all humans and the remnants of racism inherent in white privilege. But she’s also keenly aware of her own racism and the racism in our society, and more specifically, the systemic ways racism manifests in government. While Ciinton’s favorability ratings among all voters sits at 41 favorable and 52 unfavorable, among African Americans, Clinton has an 83% favorability rating. While one might conclude that she only does this well in contrast to Trump, I’d note that Clinton pulled similar numbers in her matchup with Bernie Sanders.